A 16-year-old boy has turned himself in to authorities in connection with a hit-and-run crash in Santee that killed one woman and seriously injured a second. The boy was accompanied by his attorney when he surrendered on Friday night. His name was not released because of his age. The boy is the second suspect in custody in the case. Another 16-year-old boy was arrested Wednesday night and booked into juvenile hall on suspicion of felony hit-and-run. 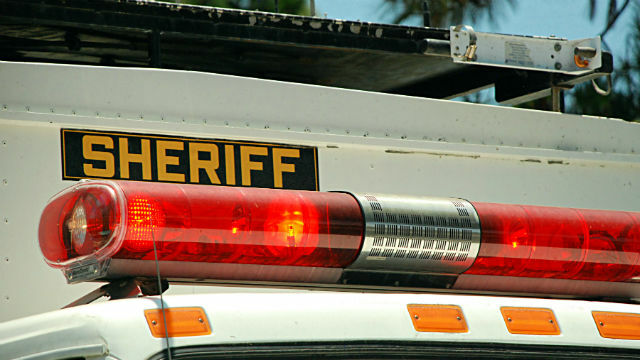 Deputies responded to the crash about 8 p.m. Wednesday in the 10200 block of Molino Road and found two women lying in the street. Witnesses said the suspect vehicle fled the scene, according to Sgt. Joe Passalacqua of the San Diego County Sheriff’s Department. Both victims were taken to a hospital, where one later died from her injuries and the other was treated and released, Passalacqua said. Investigators determined that the crash occurred following an argument involving three teenage boys and a resident of a home on Molina Road, near El Nopal. After the escalating dispute moved from inside the house to outside, drawing several neighbors out of their residences, the trio of teenagers got into a late-model Honda sedan and sped off. A short distance away, the car jumped a curb and struck the two women. Later Wednesday evening, the owner of the car involved in the crash called the sheriff’s department and told deputies where they could find the vehicle and one of the teens who had been in it when the pedestrians were struck. That 16-year-old, whose name was withheld because he is a minor, was taken into custody a short time later.